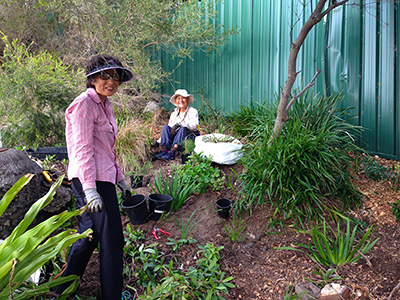 Randwick Council has 11 Bushcare groups who work with Council’s Bushcare Officer as part of our bush regeneration program removing weeds, planting indigenous plants and installing soil erosion controls. 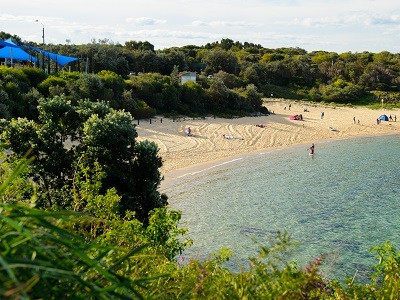 Luckily enough many of our sites occur along the Eastern Suburbs coastline and encompass a variety of ecosystem types. The Bushcare calendar lists the dates of all our groups for the year in one easy place. 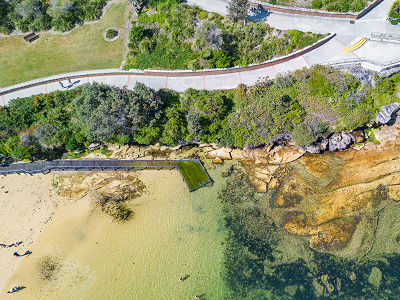 Located on the northern side of Clovelly Bay this beautiful site consists of two remnant patches of native coastal heath. You really couldn't pick a more idyllic location for bushcare. One of the last remaining rainforest gullies in the Sydney metro region that hasn’t been filled with rubble or developed. 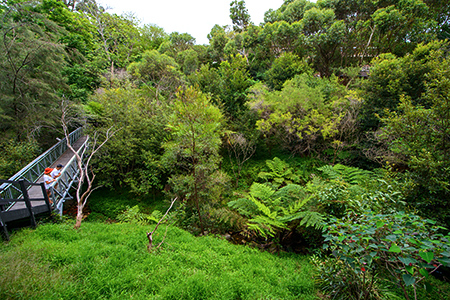 It is also home to the last open creek line in the Eastern Suburbs. Volunteers work in this unique rainforest setting to remove weeds and occasionally plant out sparse areas. Randwick Council’s longest running Bushcare group. 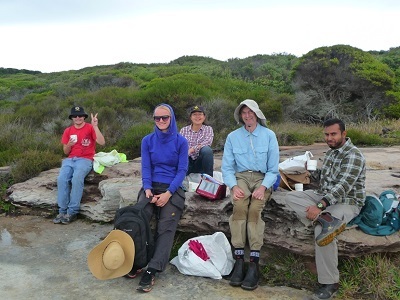 Over the years volunteers have been working to manage this important pocket of coastal heath reserve with epic views. Maintenance weeding and revegetation with indigenous plants are regularly undertaken. 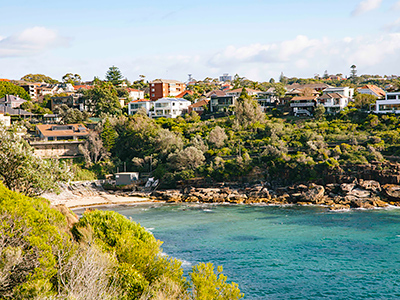 Located at the southern end of Coogee beach is a small parcel revegetated with indigenous species. It is home to a surprising variety of small birds that enjoy the nectar of the native flowers and dense shrubs to hide amongst. Regular pruning, hand weeding and planting keep this reserve in great shape. Working within the grounds of McIver’s Baths this ladies only group has gradually been clearing a slope infested with woody weeds. The cleared space has been stabilised with erosion control logs and infilled with a mixture of native species to provide diversity. Volunteers get great enjoyment at seeing the site grow and transform over time. Consisting of a small freshwater lake surrounded by native vegetation this site offers a slightly different setting to the others. 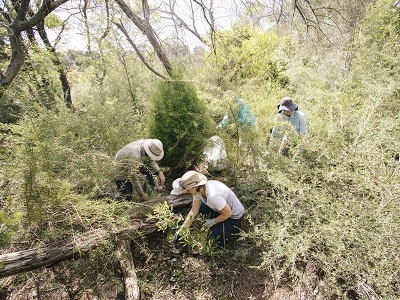 Volunteers focus their efforts on targeting exotic vines and grasses within the reserve. The southern side of Long Bay provides a brilliant viewpoint of the bay making it hard to get any work done! Despite such challenges our volunteers do a stellar job hand weeding, stabilising slopes and revegetating bare patches to increase the aesthetics of the bay and provide habitat for local fauna. Dune systems are a sensitive vegetation community that are under the continual pressures of salt-laden winds and harsh sun. 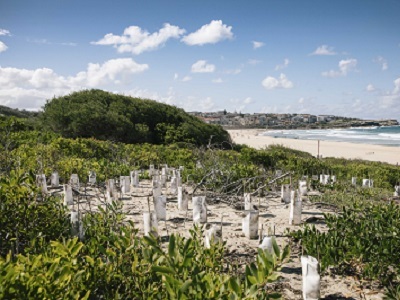 At Maroubra Beach we maintenance weed and infill plant with indigenous species in the fore dune and hind dune zones. 3 sites that encompass some of the best remaining bushland within Randwick provide great variety and interest for our southernmost group. Since starting in 2014 a lot of progress has been made tackling large thickets of woody weeds, chasing vines and hand weeding these remnants back to their former glory. 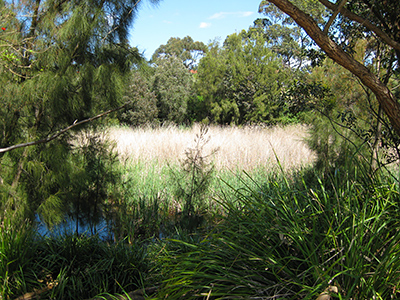 REP is Randwick Councils most sizable bushland reserve and contains some of the best bushland remnants in the area. Here there is a combination of primary weed removal, hand weeding amongst native and revegetation of the more degraded areas. 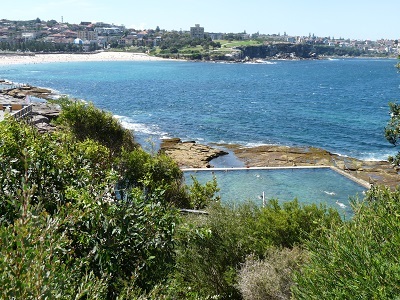 This picturesque site above Wylie’s baths concentrates on removing weeds and replanting with indigenous plant species. The group has successfully revegetated a large portion of the site and is continuing around the outskirts of the playing fields. Please note that the following groups are not run by Randwick City Council. As such, if you require more information please contact the groups directly. Located within the grounds of Randwick Golf Course this small dedicated group work to preserve isolated patches of remnant vegetation through the removal of woody and herbaceous weeds. Their long standing commitment has resulted in significant weed removal and natural regeneration. 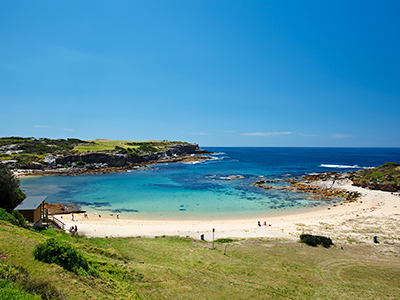 Magic Point is located at the southern end of Maroubra beach. 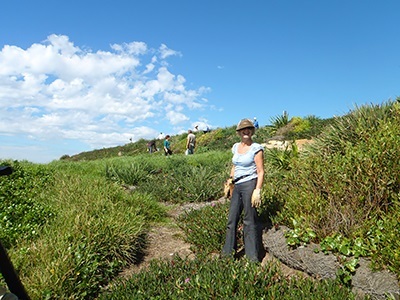 Volunteers work in the eastern section of bushland within Malabar Headland National Park. Call Claire on 9344 8589 for more details. Please leave a message if Claire is unavailable. 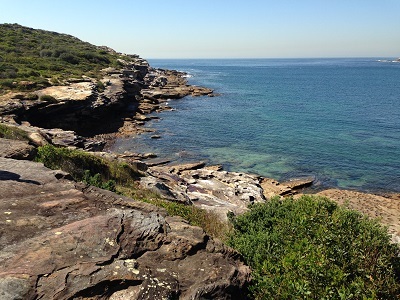 Malabar Headland contains one of the last remaining stands of the endangered ecological community, Eastern Suburbs Banksia Scrub (ESBS). Volunteers help protect this fragile community through the removal of noxious weeds. There are 2 Bushcare groups, with one focusing on the eastern section and the other on the western section of the headland. Call Jonathon (Thursday Group) on 9398 3619 or Don (Sunday Group) on 9311 2665 for more details. 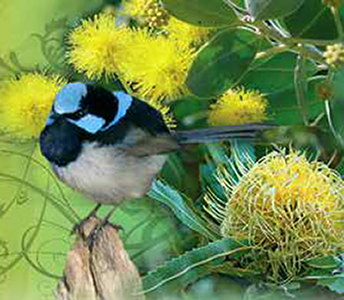 Visit our Randwick City Bushcare Volunteers Facebook group page for regular updates. 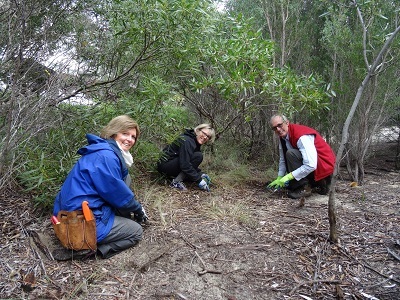 Volunteer now to work with Council to protect and regenerate our natural bushland.